Like the operations of submarines themselves, current Australian policy on submarine acquisition seems opaque, with the surface troubled by hints of turmoil down deep. There’s little clue as to why the Government is so wedded to Option J, the purchase of Japanese submarines, an attachment some in the Department of Defence don’t seem to share . It has been assumed that Option J is preferred because that’s what the US wants . Just last month, ASPI’s Graeme Dobell  wrote that ‘the PM really wants a Japanese boat’ without explaining why. In February, Hugh White outlined some broad strategic difficulties with the rush to Option J , noting that no existing sub meets Australia’s requirements and that the Soryu sub is already superseded. Any existing design must be modified, making our contractual relationship with the designer one of the most critical and risky elements of this process. This is a relationship that will have to work well for decades. I have written elsewhere  about the hazards of not building on lessons learned from the years of working with Sweden on Collins class subs, including that restrictions on intellectual property mean that sensitive technical data can’t be used with other designers. And there are still big questions about how much and what kind of technical data Japan will be willing to share with us. 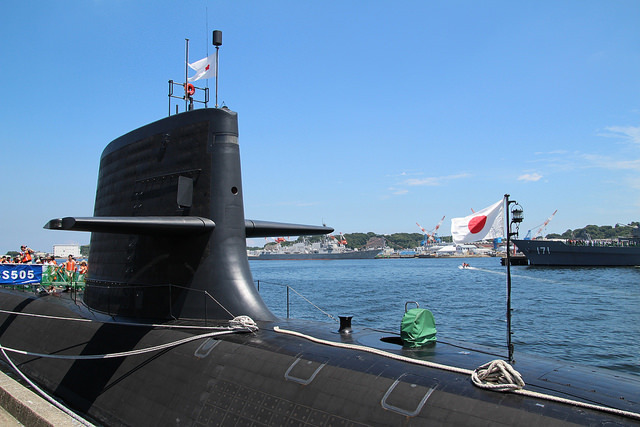 On 4 June it was reported that the former commander of the Japanese submarine fleet, Masao Kobayashi, cast doubt  on the ability of the ASC shipyard to build Soryu class subs. It’s true that ASC is set up to build Swedish designs, not Japanese ones, although they could be adapted. However, Japan’s two shipyards, Mitsubishi and Kawasaki, are both fully engaged in building Japanese boats. Where will the spare capacity needed to build boats for Australia come from? Does Japan propose to build another shipyard and train up more workers? If so, why not do that in Australia?